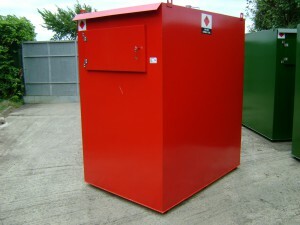 Brian Nixon Limited manufactures a full range of both commercial, domestic and generator metal bunded fuel tanks using 3mm British steel. 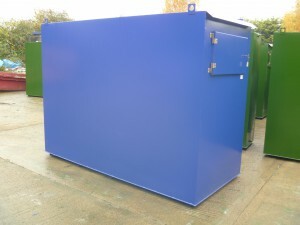 Commercial and generator tanks are available as 1,250 litre, 2,500 litre, 5,000 litre, 7500 litre or 10,000 litre models and the domestic tanks come with either a 1,250 or 2,500 litre capacity. If you are interested in purchasing the 10,000 litre tank please call us on 01789 721112 to establish the cost for delivery. 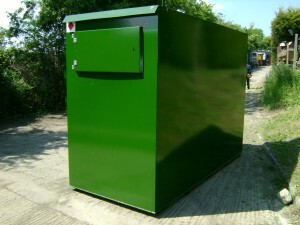 All our are painted green as standard but can also be supplied in a range of colours including red and blue. Brian Nixon Limited also offers a custom tank design / build service so if none of our standard production tanks match your own requirements in terms of dimension or capacity, please give us a call and we’ll be glad to help. 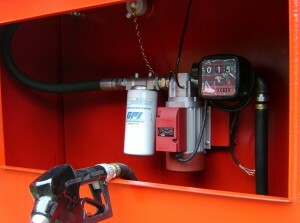 The bunded tank itself is guaranteed for 5 years and the mechanical components come with a 12 month warranty.